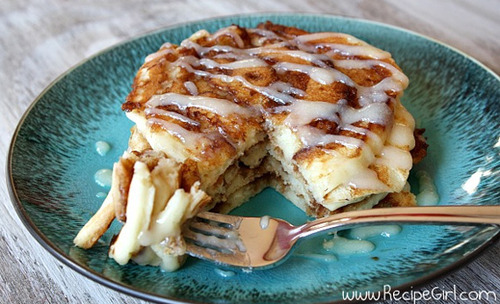 This morning I made cinnamon roll pancakes. 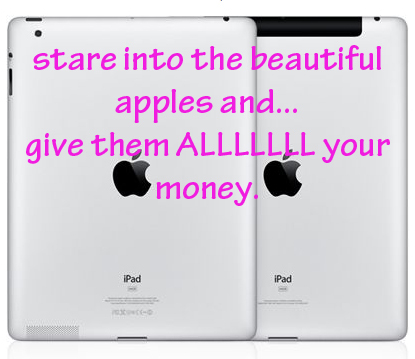 There are a few exciting things on the agenda today…number one is to ORDER AN IPAD!!! I really want to be able to return to school in the Spring and one of the things that made my back feel like a fiery pit of hellish death was having to carry around a backpack full of heavy books. Since all my books come with free online editions I can leave those suckers in my dorm room and just take my ipad if I want to study in a coffee shop or get some help from a professor! I can’t take my laptop because pre-broken back Georgia Mae went for the 17 inch Macbook pro. Cool big screen…pretty damn heavy. Thus, iPad. Another exciting thing?!? (a little less exciting…but roll with it) I bought an audiobook! I have been taking hour long walks everyday for some exercise and to build my strength back up and even though my neighborhood has been called the 8th wonder of the world, there are only so many times I can stare at it aimlessly before getting a wee bit bored. 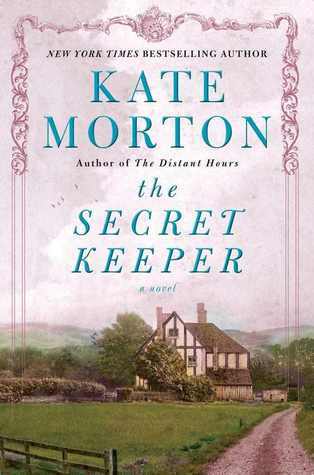 I love Kate Morton’s books and so far this one is right up my alley. For 27 dollars it better be! I was kidding earlier when I said I was going to give all my money to Apple but now I think I might really be in the process….oy vey. I hope you have an awesome Saturday!! Hello! I'm Georgia-Mae. I love to be healthy and social and right now I'm slowly working my way back into both after an injury. I'm discovering new things I like to do and I'd love to share my journey with you!